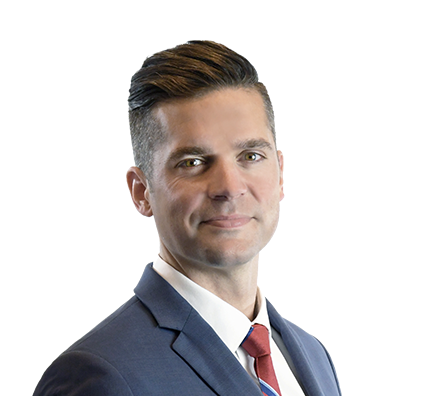 Timothy focuses his practice on representing financial institutions, corporations, governmental entities and individuals in a broad range of commercial, real estate, bankruptcy, constitutional and land use litigation matters before the state and federal courts of Wisconsin. Advising clients on buying and selling debt and secured loan obligations. Representing clients in real estate litigation at the trial court and appellate court levels. Counseling national, regional and community financial institutions and servicers in contested liquidation, insolvency and lender liability matters. Represented national, regional and community financial institutions and servicers in contested liquidation, insolvency and lender liability matters. Secured verdict in favor of secured party against claims of forgery and fraud. Documented secured loan restructurings, forbearance agreements and workout arrangements. Counseled secured parties in resolving disputes regarding negotiable instruments under the Uniform Commercial Code. Advised clients on buying and selling debt and secured loan obligations. Defended preference actions and claims to avoid liens in bankruptcy and insolvency proceedings. Counseled national financial institutions in complex real estate negotiations, contested foreclosures, commercial evictions, and commercial and consumer loan workouts. Preserved interests in real estate overcoming challenges to loan documentation. Represented clients in real estate litigation at the trial court and appellate court levels, including quiet title actions, challenges to zoning regulations, easement application and validity, the enforceability of recorded deed restrictions, reformation of security instruments, and the priority of competing security interests. Obtained defense verdict after two-week trial in federal court in favor of former business owners against claims of defamation, conversion and intentional interference with contract. Argued before the U.S. Court of Appeals for the Seventh Circuit.